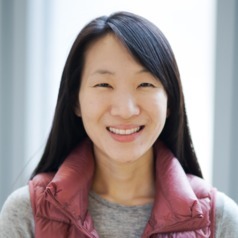 Joyce Y. Lee, MS, MSW, LLMSW, is a doctoral student at the Joint PhD Program in Social Work and Psychology, University of Michigan, Ann Arbor. Her research focuses on father involvement, evidence-based parent education programs, and prevention and treatment of child maltreatment. She is interested in triangulating these three areas to promote father involvement, positive parenting, and child safety and wellbeing. Joyce received her undergraduate degree in Social Work at Rutgers University--New Brunswick and her master's degree in Social Work at Columbia University. Joyce is also a licensed social worker at the state of Michigan, providing assessment and treatment to children and families with a history of abuse, neglect, and trauma.